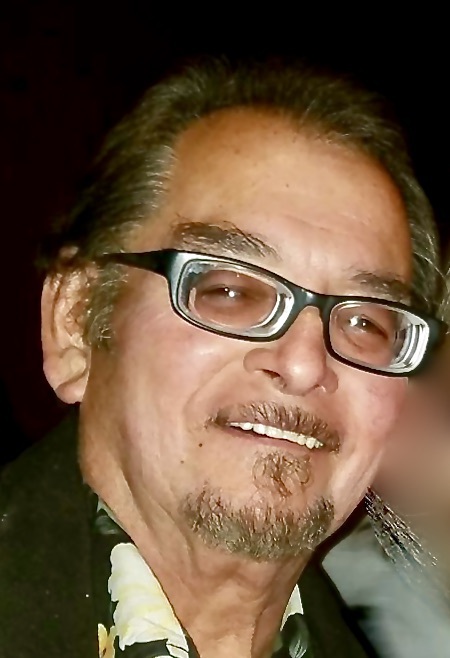 Juan Martín Rivera "The Tire Man"
Juan Martín Rivera, 73, joined the choir of Angels late in the evening Wednesday September 12, 2018 surrounded by his loving family. Juan was peaceful and serene, singing even as the Angels came and spirited him away. Juan was born November 23, 1944 in Colonia Independencia Monterrey, Nuevo Léon Mexico at the home of his parents, Blasa and Juan Rivera. At the age of four, Juan, his sister Lucia and his mother Blasa immigrated to the United States. When Juan turned 16 two things happened that determined his life’s direction; Juan began working at Pueblo Auto Parts alongside his father Juan Rivera Sr. and he picked up his first pair of drumsticks. In 1962 Juan graduated from Pueblo Catholic High School. Juan was a lifelong professional musician and entrepreneur. He and his brother in law Ernie Duran opened The Tire King and later Juan opened The Tire Man. He owned and operated this store until his retirement at the age of 53. Upon retirement Juan moved to Taos, NM where he lived for the next 17 years. While in Taos Juan continued to hone his wood working skills and became an award-winning carpenter. He also pursued a love of cooking, baking and art and won numerous awards for his baking and art. He authored and published a cookbook and short story as well as penned numerous award-winning songs. Juan was a gifted drummer and as a professional musician he spent 52 years keeping the beat for most of the best bands in Pueblo and Northern NM. Juan played with the all time great musicians in Southern Colorado and Northern NM. As a drummer and talented singer he was highly sought after by numerous bands. He was well versed in Rock, Jazz, Country, and Polkas - he excelled in syncopation. Juan was a good and faithful servant and steward and found great comfort in his Catholic faith. Here in Pueblo Juan was a member of St. Francis Xavier Parish and he ran the kitchen for the festival at Our Lady of Assumption Parish for many years. After he moved to Taos his service to the church continued. He attended St. Francis de Assis parish and every year he helped with the 14 day enjare, the re-plastering and repair, of the historic church. This service was a labor of love for Juan and for the 17 years he helped, he only missed five days. Juan is now reunited with his beloved wife, Sandra Marie Duran Rivera and son Juan Esteban Rivera both of whom preceded him in death. He was also preceded in death by his father Juan Rivera Sr. and sister Lucia Rivera. He is survived by his beloved mother, Blasa Rivera, companion Sandra Quintana, sister Martha Yarusso (Matthew), brother George Rivera, cherished son Eric and daughter in law Beverly, numerous grandchildren, great grandchildren, nieces and nephews. Juan was especially thankful for the tender loving care provided by his Princess Beverly. Rosary will be held at St. Francis Xavier Catholic Church, 611 Logan Avenue, Pueblo CO at 1:00 p.m. on Friday, September 21, 2018, and the Funeral Mass will immediately follow at 2:00 p.m. Inurnment: Roselawn Cemetery. In lieu of food and flowers please send your prayers.